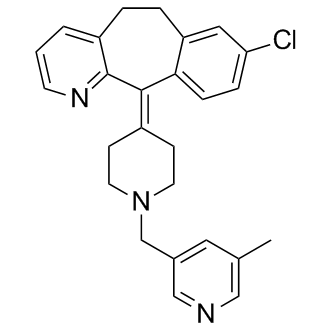 Bilastine binds to histamine H1-receptors as indicated by its displacement of [3H]-pyrilamine from H1-receptors expressed in guinea-pig cerebellum and human embryonic kidney (HEK) cell lines. The studies conducted on guinea-pig smooth muscle demonstrated the capability of bilastine to antagonise H1-receptors. 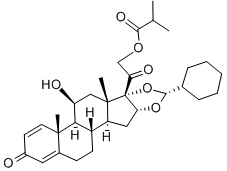 Bilastine is selective for histamine H1-receptors as shown in receptor-binding screening conducted to determine the binding capacity of bilastine to 30 different receptors . Bilastine distribution has an apparent volume of distribution of 1.29 L/kg, and has an elimination half-life of 14.5 h and plasma protein binding of 84-90% .